Shaganappi is a small, charming park with hills for exertion and a quaint, forested area in the centre of the park with a shallow stream running through it. You’re seconds from downtown but in the ‘forest’, you feel miles away from any urban development. The view of downtown is spectacular. There are no amenities or parking lots. 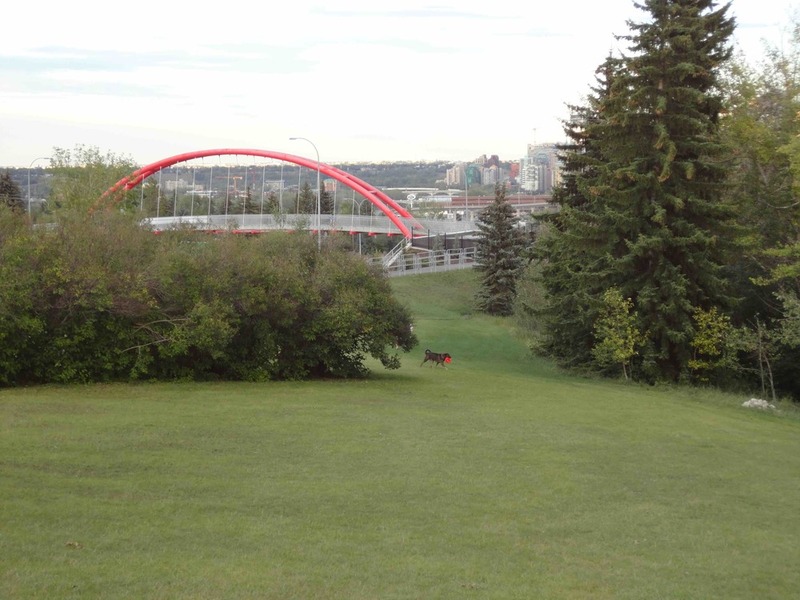 The park is unfenced and borders residential streets, a children’s playground and public tennis courts, so recall should be reliable if Fido is off-leash.